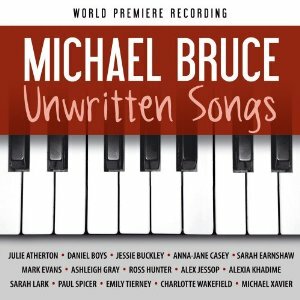 Musical theatre writing in the UK has no greater champion than the Speckulation guys at the moment and one of the beneficiaries of their nurturing, Michael Bruce, has really taken flight this year with a star-studded debut album being released to showcase his song-writing. Bruce is a composer who has previously had his own West End showcase, musicals playing at Edinburgh, is resident composer at the Bush Theatre and has written the score for shows like the National Theatre’s Men Should Weep and the forthcoming David Tennant/Catherine Tate Much Ado About Nothing. He launched this album last month with a Delfont Room gig showing off his pulling power in getting many of the stars of his album to come and perform on a busy Sunday night. On Unwritten Songs, Bruce covers a range of bases whilst remaining firmly in the musical theatre/cabaret world. He has a clear talent for comedy songs which are destined to appear and reappear in cabaret repertoires for the foreseeable future. Chief of these is the fabulous Portrait of a Princess, written especially for the incomparable Julie Atherton. Formerly entitled In A Disney Way, it is an extremely wordy, wry and witty look at the unreasonable expectations put on a modern-day Disney princess and if that weren’t enough, Speckulation have come up with their first ever promotional video for this song featuring a whole host of faces including Russell Tovey, Sheridan Smith and Jon Lee which you can watch below. ‘I Want A Man’ sung with barely contained desperation by Sarah Lark and Sarah Earnshaw is also extremely funny and listenable, and Emily Tierney’s faux-opera ‘Continental’ is also bursting with lyrical wit, though having been spoiled by seeing her sing it recently, I missed the extra comedy added by her inimitable performance. The Sondheim pastiche of ‘The Musical Theatre Song’ suffers a similar problem with its huge list of shows proving an almighty endeavour for a live performer (and one Anna-Jane Casey couldn’t quite pull off at the launch) but on record feels a little flat and unreflective of the true extent of Bruce’s song-writing skills. For in his more obviously musical theatre writing, he shows great potential and a keen ear for evoking a range of emotions whilst remaining utterly tuneful. 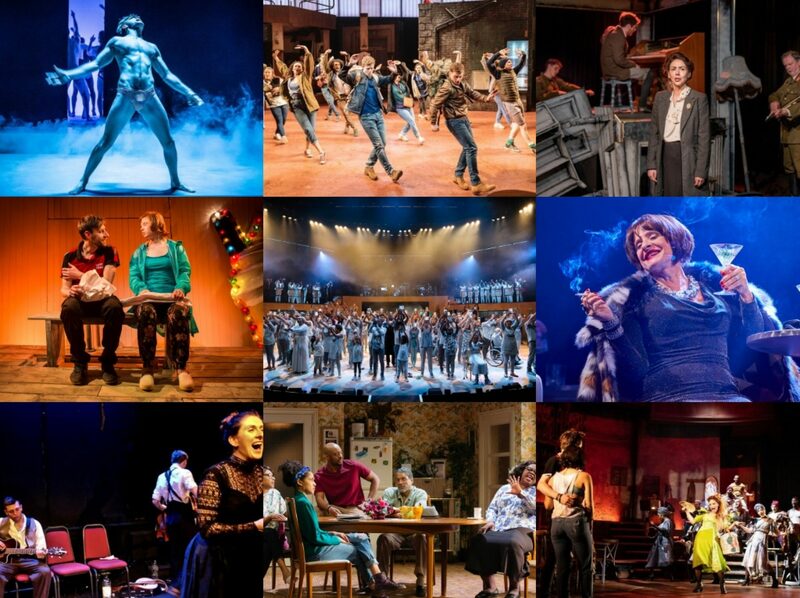 Whether it is the stirring ‘My Kind Of World’ sung with an exciting passion by Ashleigh Gray, the Disney-esque sweetness of Charlotte Wakefield’s ‘Someplace Beyond the Moon’ or the beautiful reflective vocals of Jessie Buckley on ‘It’s Not Gonna Rain’, there’s a real sense of how excitingly good a full length Bruce musical could be. And by the time we reach the final song, ‘Unwritten Song’ by Michael Xavier, there is no doubting the talent here as this is possibly the best ballad on the album and it sounds absolutely gorgeous. Even the rockier songs, invariably sung by men here, pulse with an energy which although not to my taste, still feels fresh and contemporary, making Unwritten Songs a surprisingly strong album to listen to in its entirety. With lyrics that work effectively throughout the whole emotional palette and tunes that are masterfully melodious – this is definitely a new and exciting talent to watch. Be warned though, some of the songs are ridiculously catchy, I have woken up singing My Kind of World at least three times in the last week… The CD can be bought either to download on iTunes or physically from here and I can honestly say this will rank as one of my most listened to albums by the end of the year.